The armor of the earlier StuG was increased and a longer 7.5cm L/48 Kanone mounted to regain superiority over the new Russian tanks. Same hull and superstructure as the Ausf E. Equipped with the more powerful L/48 gun capable of tackling tanks. Low silhouette is an advantage. Effective weapon/vehicle combination. Relatively cheap and easy to build. Over 7700 were built. 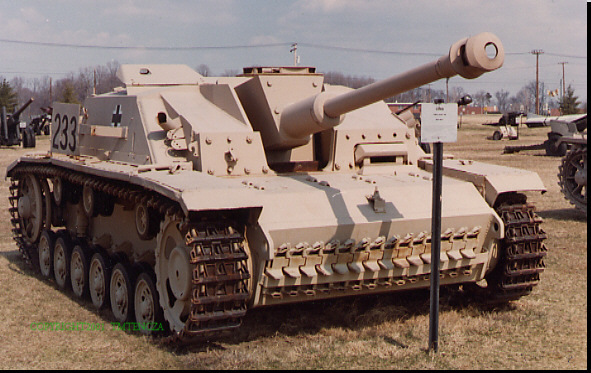 Ausf G was the last production series of the StuG. Originally designed for infantry support, the up-gunned versions of the StuG III were used in an anti-tank role. Lacking a turret, the assault gun needed only a 4-man crew. The main gun was mounted to a fixed superstructure installed on the chassis of a Panzer III tank. Overall height was only 6' 5". 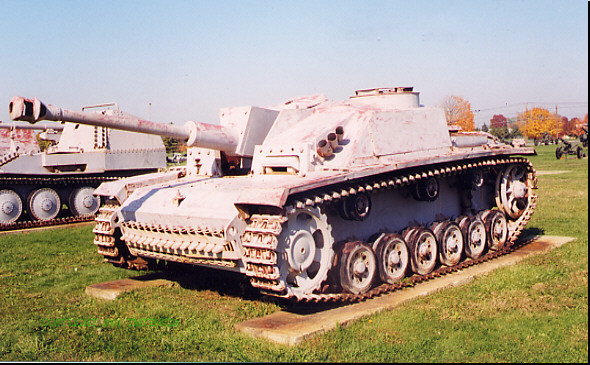 It had heavier armor protection than the Panzer III or IV. It was a new type of fighting vehicle. 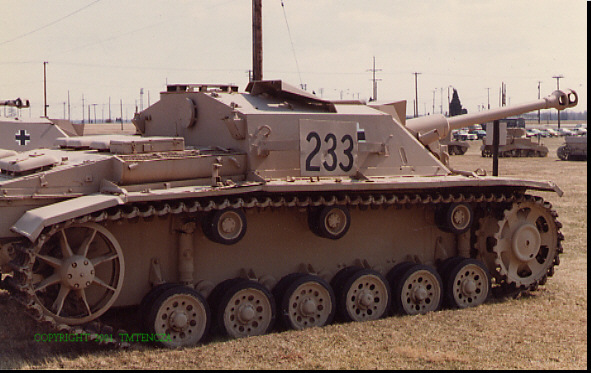 More were produced than any other German AFV.